59 South, exit Williams Way Blvd, RT at stop sign. LFT on Veranda Trails Pkwy. Take first exit on roundabout, RT on Wildwood Park Rd. RT on Wessendorff Pl. LFT on Henderson Row Dr. 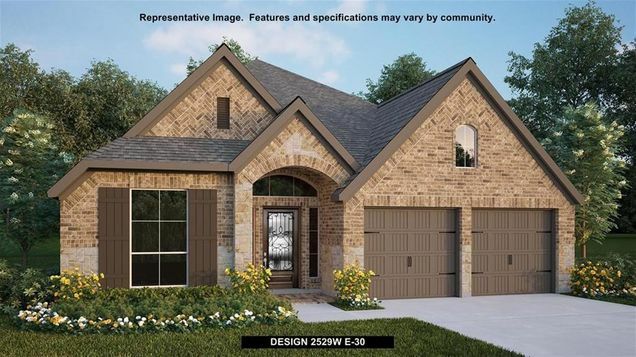 The Sales Center is at 22906 Henderson Row Dr.
Hello, I’m interested in 23314 Darst Field Trail and would like to take a look around. The details on 23314 Darst Field Trail: This house located in TX 77469 is currently for sale for $354,900. 23314 Darst Field Trail is a 2,529 square foot house with 4 beds and 3 baths that has been on Estately for 0 days. This house is in the attendance area of Hutchison Elementary School, Wessendorff Middle School, Lamar Junior High School, and Lamar Consolidated High School. Listing Courtesy of: HAR and Perry Development Management.